Give your feathered friends shelter from predators and the elements. Our new nesting box was specifically designed with robins in mind. 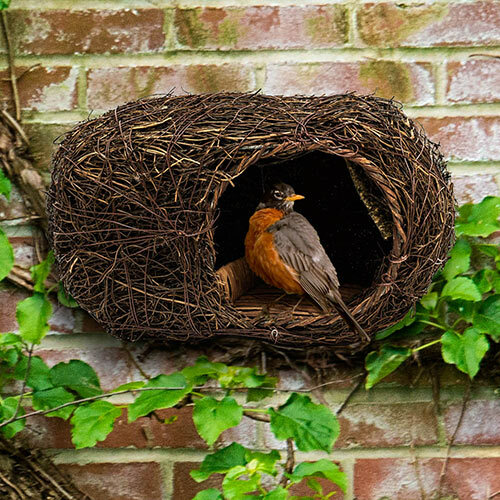 Featuring a rattan landing platform and a low dividing wall to parcel off the roosting space, it provides nesting robins a safe haven from eager predators and harsh weather. Lightweight and easy to hang in hedges, ivy or along sheltered walls.